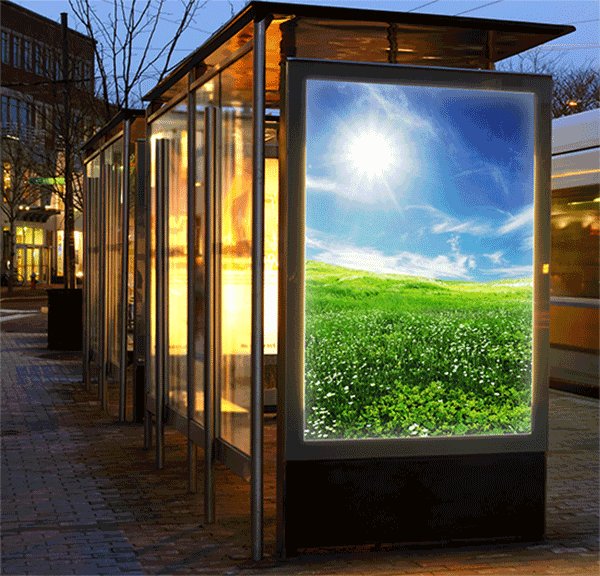 Bus shelters, building signs, frames in windows are all common place. Graphic Impact uses a thin plastic and provides full color prints directly to the material with UV inks. The result is high resolution photo quality with outstanding vivid colors. Call us to find out more about backlit signs!